When it comes to online accounting services, One Up has created its place in a stiff competition, among the best accounting software available in the market. This platform contains highly sophisticated inventory management, and product-pricing tools are also available for small businesses. It is a cost-effective solution priced from $9 per month for individual use without any support, to one of the expensive solutions which are priced at $169 per month for tools and features without any limit whatsoever. Its most distinguishing characteristic is that it was created for Android devices and then it was taken to the desktop environment, which has made it a full-featured Android smartphone app. Its mobile-first design approach is quite effective for smartphone users. Having said that, the user interface in case of browser-based version is large and sprawling which makes it quite distasteful. This software starts with a blank template and in case you have existing data like information on customers, vendors, services, and products- you can easily import it in .CSV format. There are many formatted templates available with this software. While this site lacks a thorough, stepwise wizard for setting up any company, but one can easily establish One Up preferences by merely clicking on the Settings link on the home page. One Up’s interface and other tools like navigational tools are quite different from its competitors. It does share a common side-wise navigation with Sales, Expenses, Accounting, Projects, and Inventory, etc. on the vertical pane on the left. There is nothing which is overtly difficult in this software’s interface. It also uses standard Windows conventions for entering the data. 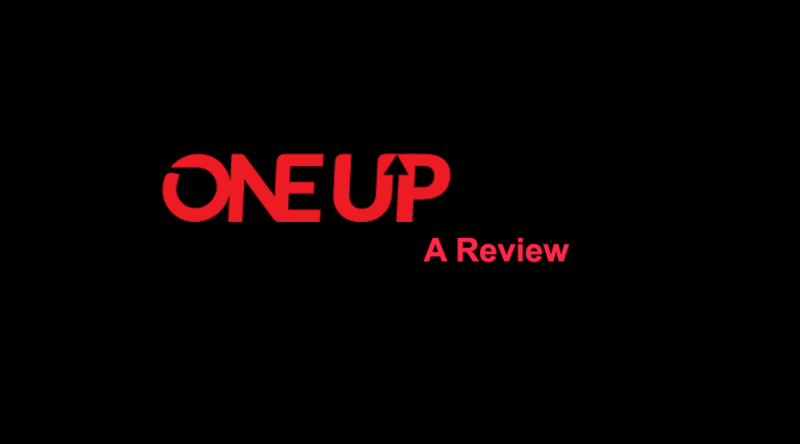 One Up is quite capable regarding what it provides the small businesses to do. Customer and vendor records are thoroughly made and even when they don’t include any sort of history, unlike its competitors. This site supports multiple transaction forms like others and more than most which also includes sales order. You can easily attach any document to transactions but at present, there is no automated tool in case of recurring invoices. It does offer great conversion capabilities, which in turns speeds up the workflow and thus reduces any chance of data entry errors. Its inventory management tools are best among its competitors. It offers support for units to measure, stock location, two costing methods, and item weight and dimension. In case the stock goes below the minimum requirement then you can automatically create a purchase order, and you can then authorize negative stock. Pricing options are quite flexible which makes it as a better choice among its competitors. You can easily create many sales price lists for different customers, or based on quantity. Talking about the reporting feature, it has standard financial report templates needs as it is based on a double-entry accounting framework. One up is quite a capable cloud-based accounting solution. Its salient features are its Android App, pricing options, inventory management and basic project management tools. It is quite user-friendly and very easy enough to use. Only a few negative points are that it lacks in reporting and payroll, direct online payment of invoices and user access permissions. With this, we end our review of One Up accounting solution. In case you decide to give it a go for your accounting needs, then do let us know about your experiences. Also, don’t forget to mention your views and suggestions in the comment section below.